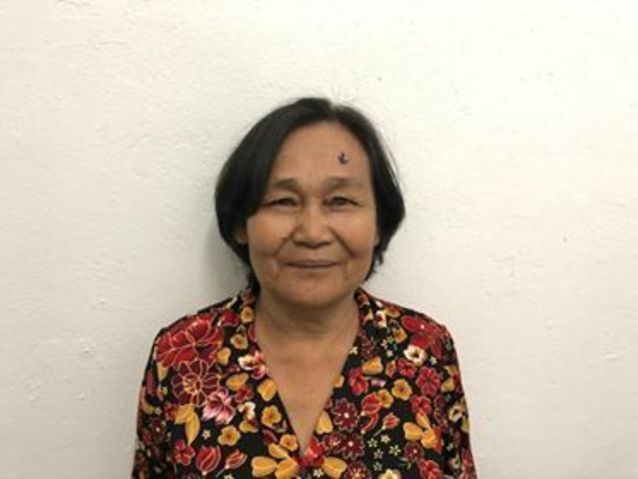 Im is a woman from Cambodia who needs $398 to fund cataract surgery. Im is a 71-year-old grocery seller from Cambodia. In her free time, she enjoys listening to the monks pray on the radio. One year ago, Im developed a cataract in each eye, causing her blurry vision, itchiness, tearing, photophobia. She has difficulty seeing things clearly, recognizing faces, and going anywhere outside. When Im learned about our medical partner, Children’s Surgical Centre, she traveled for six hours seeking treatment. On February 26, doctors will perform a phacoemulsification surgery and an intraocular lens implant in each eye. After recovery, she will be able to see clearly. Now, she needs help to fund this $398 procedure. 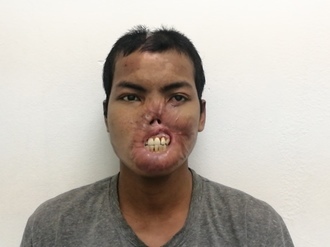 Im's case was submitted by Lindsay Bownik at Children's Surgical Centre in Cambodia. Im was submitted by Lindsay Bownik, Stakeholder Relations Officer at Children's Surgical Centre, our medical partner in Cambodia. Im received treatment at Kien Khleang National Rehabilitation Centre. Medical partners often provide care to patients accepted by Watsi before those patients are fully funded, operating under the guarantee that the cost of care will be paid for by donors. Im's profile was published to start raising funds. Awaiting Im's treatment update from Children's Surgical Centre. Im is currently raising funds for her treatment. Buke is a farmer and father to five from Malawi. Since July 2018, Buke has been experiencing pain and urinary difficulty. These symptoms are caused by an enlarged prostate, a condition called benign prostatic hyperplasia. He needs to undergo a prostate resection surgery, a procedure in which surgeons will remove part of the enlarged gland. Our medical partner, World Altering Medicine, is requesting $733 to fund Buke's surgery. On February 5, he will undergo prostate surgery at Nkhoma Hospital, our medical partner's care center. The requested money pays for supplies, medications, and two weeks of hospital stay. He says, "Thank you for this project, please continue to assist others." Sinet is a 20-year-old rice farmer from Cambodia. He has four siblings and likes to listen to songs on the radio. Six months ago, Sinet developed a cataract in each eye, causing him blurry and cloudy vision. He has difficulty seeing things clearly, recognizing faces, and going anywhere outside. When Sinet learned about our medical partner, Children's Surgical Centre, he traveled for eight hours seeking treatment. On March 12, doctors will perform a phacoemulsification surgery and an intraocular lens implant in each eye. After recovery, he will be able to see clearly. Now, he needs help to fund this $398 procedure.